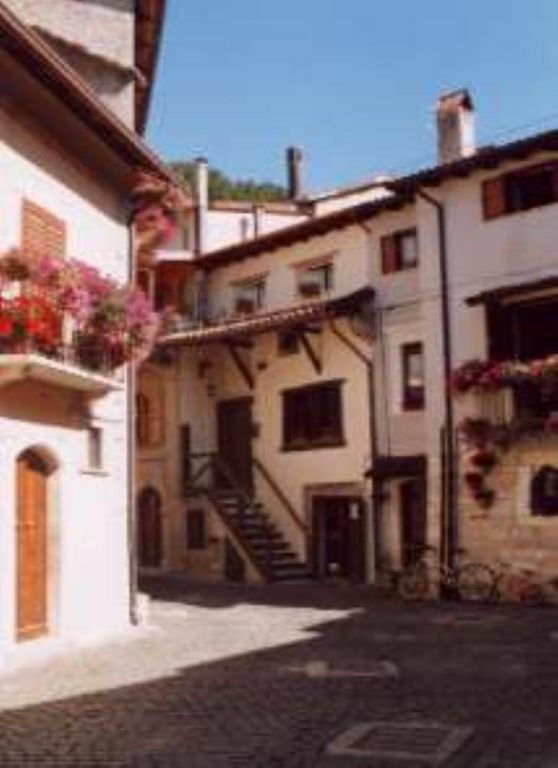 Completely renewed characteristic ancient house, in the heart of Abruzzo National Park, well equipped.It's the one with external staircase. "Superb location, very friendly neighbours. All amenities on your doorstep. House very clean and comfortable. Main bedroom a little cramped and bed could be more comfortable. Otherwise very good and owner on site at arrival to show us around, made us very welcome." "It is a comfortable house, good atmosphere and well equipped. The surroundings, view, amenities are really nice." Accogliente, comoda, calda, centralissima, la migliore vacanza che potessimo fare! "La casa è bella e confortevole;si trova al centro di Pescasseroli,permette di andare a piedi dappertutto....la località è molto caratteristica,soprattutto durante il periodo natalizio.Il proprietario è stato molto gentile e disponibile." Nearest airports: Rome, Pescara,Naples each 150 Km. Take the Rome-Pescara highway,exit at Pescina, then 35 Km by National road. Good Resaturants close to the house. A lot of walking itineraries in the National Park: i suggest Fondillo Valley. SKi resort in winter.